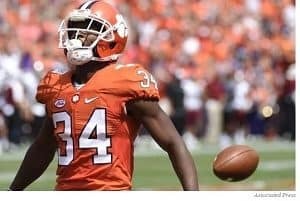 What does ITAD have in common with college football? Both have a problem with players celebrating too early. 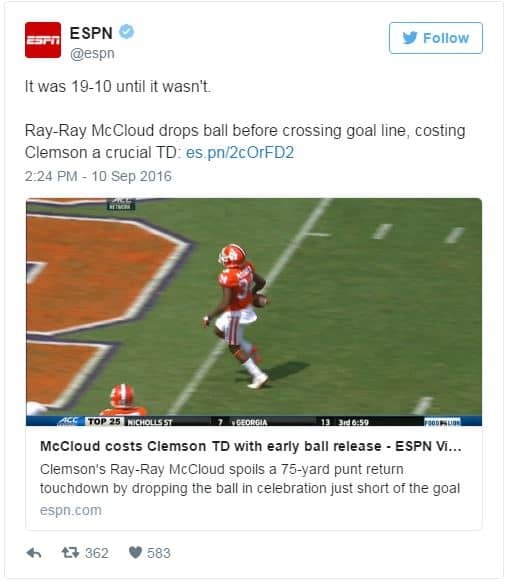 For some unexplained reason, college football players continue to drop footballs before crossing the goal line. 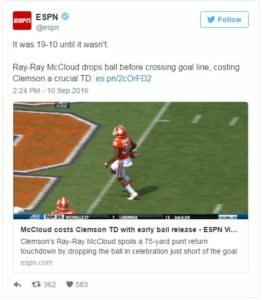 Players from Clemson, California, Utah, and Oklahoma recently dropped the ball voluntarily before they got into the end-zone. When a football player drops the ball too early, it could cost their team a touchdown and possibly much more. Losing out on a touchdown might mean losing the game. Losing one game might ruin their chance of making the playoffs. Dropping the ball too early could spoil an entire season. ITAD is not college football. Nobody cheers or jumps for joy when an ITAD project is successfully completed. Then again, not many people notice when IT asset managers celebrate ITAD too early. Unlike college football, mistakes often go unnoticed. With ITAD, celebrating too early occurs when an organization skips steps necessary for program success. Asset managers celebrate too early when chain-of-custody is assumed but not confirmed. Football players should not celebrate a touchdown until the football is actually in the end-zone. Likewise, asset managers should not celebrate ITAD success until a positive transfer of custody can be confirmed. Corporate IT security officers and football coaches often pay the biggest price when players make stupid mistakes. Coaches must remind players not to drop the ball before the goal line. Corporate security officers need to coach employees about getting into the end-zone. Corporations spend millions on IT security measures including firewalls, network monitoring, and encryption. It is time to take ITAD chain-of-custody seriously. Don’t spike the football on the one-yard line.